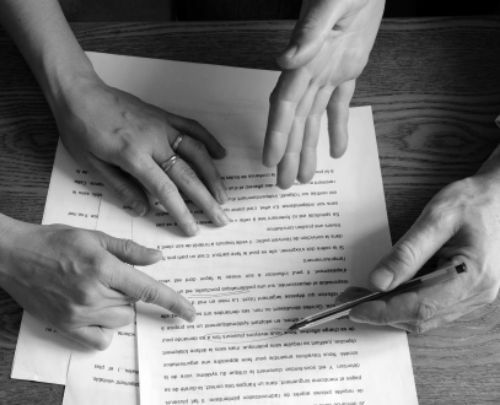 Part two of our four part series on Understanding your tenancy agreement! If there’s one very good reason to read your tenancy agreement properly when you rent a property it’s to make sure that you understand exactly what’s required of you and when. Sounds obvious? Well, it’s surprising how many people end up incurring costs or putting themselves in the vulnerable position of being in breach of their tenancy agreement simply because they haven’t read the document from start to finish. This is usually thanks to ‘tricky’ clauses that, whilst not illegal, have historically caught many tenants out. Below are some of the clauses that typically make life difficult for tenants – not all are standard and most are worth negotiating. Tenant joint and several liability. If your tenancy agreement shares liability among the tenants on a joint and several liability basis then this means that all the tenants are liable for their own rent, as well as for the rent of the others too. So, should one of your fellow tenants suddenly disappear a month into your new tenancy, you will be required to cover his or her share. Most agreements are now joint and several – this clause is not usually negotiable so TTV recommends that you make sure you trust your fellow tenants before you move in with them. If you have any hesitation then it can be a good idea to suggest tenant guarantors. Risk: You may end up paying more than your share of rent. Going away. An empty property is often a target for thieves and may also attract squatters so your tenancy agreement may contain a clause that requires you to notify the landlord if you are going to be away for more than a certain period of time. Be sure to check this – it can be as short as 14 days in some tenancy agreements so if you are lucky enough to have three weeks holiday booked you must tell the landlord or letting agent. The agreement may also make you responsible for paying for any security measures required when you’re away so if you travel a lot you might want to review the time limit and financial burden in this clause. Risk: you may have to pay for security fixtures. Internal locks. Some tenancy agreements will prevent tenants from installing locks on their bedroom doors – if you are renting a room in a House of Multiple Occupation with separate agreements for each tenant then you have a right to request a lock or to challenge this clause. A good letting agent should alert you to the presence of a clause like this before you sign your tenancy agreement. Risk: you may be in breach of your tenancy by installing a lock on your door. Utilities. Look out for a clause in your tenancy agreement that states you cannot change your utilities provider without landlord’s consent. If you want to be able to switch your gas and electric provider to ensure you’re getting the cheapest deal then either be prepared to obtain consent or ask for this to be taken out of the tenancy agreement. A good landlord will usually be reasonable about issues such as this but if being able to follow the best utilities deals is important to you then look out for this clause, just in case. Risk: you may be in breach of your tenancy for switching to a cheaper gas supplier. Using the premises in a ‘tenant-like manner.’ This is a fantastically ambiguous term and could encompass just about anything, which is why it is used. A clause like this may require everything from ‘not altering the premises’ (which could cover something as minor as painting a wall), to a requirement to have windows cleaned or chimneys swept, and being responsible for clearing blocked pipes and testing smoke alarms. If there is an obligation included in this catch all that you don’t think is reasonable then it is a good idea to challenge it before you sign. Risk: you may be in breach of your tenancy for something as simple as not having windows cleaned. Pets. It may sound obvious but if you have a pet and you are moving into a new rented property be sure to tell the landlord so that the tenancy agreement can reflect the fact that there is a pet in the home. Most agreements now come with an automatic ‘no pets’ clause so this needs to be amended or removed before you move in or you may find Fido is the reason you have to leave your lovely new home. For more information on renting with pets, you will find more information and advice in our blog on the topic. Risk: you may have to get rid of your pet or risk being removed from the property.